Chairman of the Board of Directors of Restoring America, is a disabled American Veteran. He is a former Chief Warrant Officer in the United States Army and a decorated Vietnam Nam veteran. Joe served as a helicopter gunship pilot with the 129th Assault Helicopter Company “Cobra Guns”, an Armament Officer, Maintenance Officer and a military helicopter test pilot. Although permanently grounded from flying, he earned commercial licenses in helicopter and multi-engine fixed wing aircraft. He holds an ATR (Airline Transport Rating), a standard instrument ticket in both rotary and fixed wing, a land and sea rating and military fight instructor license. Mr. Larson has been a conservative activist for years. 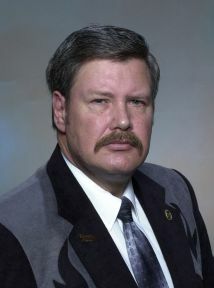 Currently he is a member of Concerned Women for America, Eagle Forum and the Missouri Republican Assembly. He is also a member of the American Legion and a life member of the Veterans of Foreign Wars. You may have heard Joe on numerous “talk radio programs” throughout Missouri or on national radio with hosts such as: Bob “B1” Dornan, Phyllis Schlafly Live, Cliff Kincaid and “Ollie” North. Joe has appeared on Christian television, speaking the truth about our Founding Fathers and our Christian nation. His main priority is to educate the American people on subjects the school system has failed to teach.